IT is now demanding systems that are simple in design, configuration, and operation. A big part of simplicity is the automation of provisioning, monitoring, diagnosis, and file management. All areas of compute, storage, and networking should be managed through a single portal and no task should take more than a prescribed number of clicks. With the consumerization of IT, users now expect simple interfaces that allow them to easily and methodically complete an assigned task and IT is no different. No more learning curves or expensive training. Simply purchase, unbox, deploy, and start adding value to the organizations. HCI aims to eradicate your datacenter of resource silos by integrating fluid pools of compute, storage, and network resources that can be provisioned on demand for designated workloads. When a workload is no longer needed, those resources can be released back to their designated pools. That is because HCI is about software-defined intelligence that offers template driven configuration and provisioning. Flexibility is about granular scalability, giving companies the ability to start out small and grow as needed. Enterprises no longer want to be tied or locked into a particular vendor. This is because innovation is occurring at such a fast pace today. HCI is about modernizing application development and deployment by integrating VMs, containers, storage, and networking, either locally or in the cloud. The hardware contained within HCI solutions is based on x86 hardware that all vendors and personnel are familiar with. Companies demand predictive performance today because their customers and users demand predicted experiences. 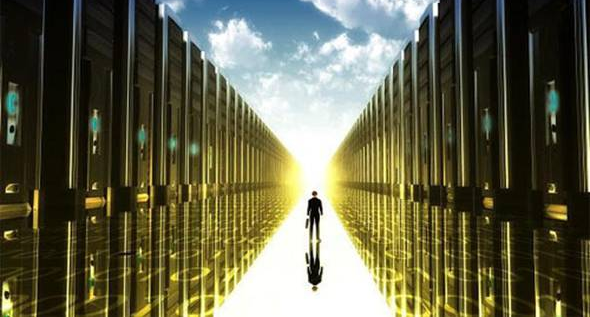 As a result, achieving predictable performance and availability is paramount for IT today. In order to accomplish this, every component that goes into the underlying infrastructure must operate with predictive performance as well. HCI solutions are about offering tested certified hardware and software bundles that are pre-designed and pre-built so that they can quickly be implemented when they arrive at the customer’s location. Because everything happens under a single hood, there is no vendor blame game as it is backed by a single-vendor support model. Every IT manager inevitably asks to show them the money. That is because capital is the lifeblood of business and like all business units, IT is expected to maximize its internal investment capital. In addition, forecasting cost of ownership and operational costs should be forecasted for all proposed solutions. HCI makes all of this easier since it is about software driven commodity hardware, which equals lower costs, reduces deployment time, and works in automated fashion. HCI has a smaller footprint and smaller step size, both of which translates into smaller upfront costs. 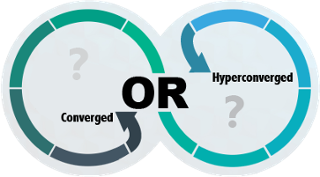 Because HCI is so promising, yet so new, there can be a lot of confusion as vendors scramble to claim their share of this exploding market. While there are a number of options out there, three proven innovators in this industry offer products that exemplify the above traits. Nutanix has risen as the dominant player offering this technology. Its full stack turnkey solution integrates the components of compute, storage, virtualization, and networking. Nutanix initially set out to eliminate the need for traditional RAID storage that is highly inflexible and inefficient and has embodied that commitment to innovate and improve to all facets of its stack. Its commitment to one-step simplicity is what has helped establish them as a leader in the industry. Unlike the other two solutions currently, Nutanix supports both VMware and HyperV, as well as its own hypervisor called Acropolis. Another sign of their integrated flexibility is the fact that beyond the fact that a minimum three alike nodes is required initially, any type of node can be added to the cluster from then on. Its footprint is deceivingly small, having the ability to offer 9TB of flash storage in addition to its server resources. Simplivity was already known as an innovator in server-storage consolidation and since being acquired by HPE earlier this year, now has the power of a global heavyweight behind it to propel its prominence throughout the world. Simplivity is known for its stellar compression and de-duplication processes, allowing its customers to enjoy capacity savings of 90% for both storage and backup. This is achieved through its integrated HPE OmniStack accelerator card that offloads compression and de-duplication functions in much the same way as TCP offload devices accelerate network traffic. This approach greatly reduces the burden off the primary host CPU and reduces the amount of I/O operations required. In addition, it’s built in backup and bandwidth-efficient replication helps eliminate the need for third-party data protection. One of its HCI solution is based on the tried and true HPE ProLiant DL380 Gen9 platform and can be built with as few as two nodes (although three is required for redundancy). Although Simplivity currently only supports VMware, it will begin supporting HyperV sometime in February. VXRail is the newest HCI solution available from Dell/EMC. As its name indicates, it is built around VMware technology so it is not a viable solution for HyperV environments. That being said, it is specifically built around the VMware platform and includes VSAN, vSphere and vCenter. Its appliances are built on Dell’s PowerEdge 14 generation servers that pack four separate nodes in a single 2U rack format with multiple configure-to-order platforms available. VXRail is built around a “pay-as-you-grow” approach, allowing customers to simply single or multiple nodes as needed with little fuss. It is available in both flash hybrid and total flash solutions and can scale out to a 16 appliances/64 node stack. VXRail also includes EMC's Avamar data protection software for backup and recovery de-duplication. VXRail was designed for multiple environments including remote and branch offices, private clouds, enterprises, and VDI. With VXRail, Dell/EMC aims to be the standard for transforming VMware infrastructures that offers an optimum experience for VMware users.